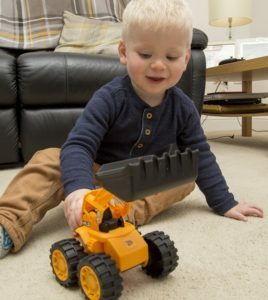 As two-year-old Matthew Kerr happily plays with his new toy digger at home in Rochford, Essex, his mum Gemma welcomes the news that real diggers are moving in to start work on a brand-new full service clinic just a few miles up the road. Gemma was treated at Bourn Hall’s existing satellite clinic in Wickford, travelling to Colchester for her egg collection and embryo transfer, and says it is fantastic news that Bourn Hall Clinic will be offering the full treatment package in one place without the need for patients to travel for certain procedures. 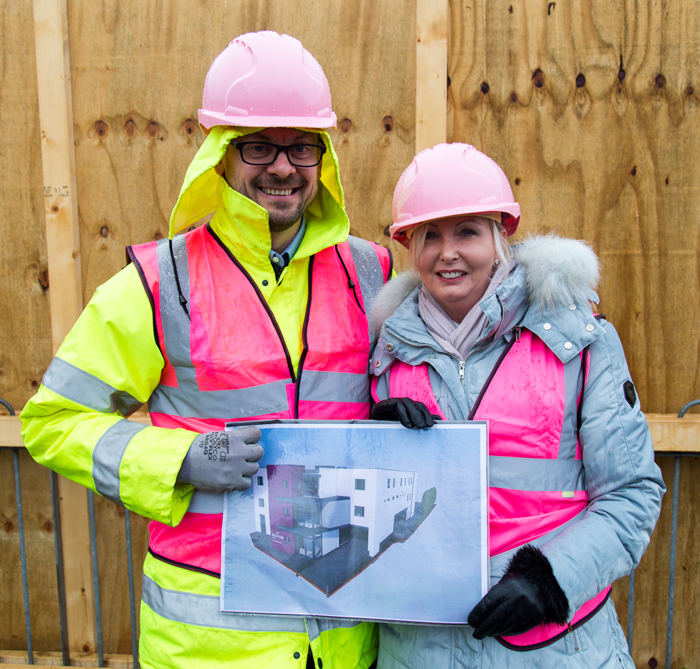 The new clinic, which is being built in London Road, just a short walk away from the town’s main shopping area, will boast its own state-of-the-art embryology laboratory. The clinic will also have a suite of rooms offering a wide range of services such as fertility health and wellbeing checks for people who do not necessarily need to go down the full IVF route but would like to find out more about their own fertility. 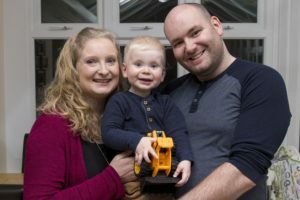 Gemma grew up in a large family and had always imagined that one day she would have children but when she and husband Kirk couldn’t conceive and hospital tests proved inconclusive they were referred for IVF. “We still cannot quite believe it”, says Gemma. “He is our absolute world. My message to others considering their options or at the start of the process is to expect a rollercoaster of a journey with ups, downs, twists and turns along the way, but with the confidence that you are in good hands at Bourn Hall.” The couple were elated when Gemma became pregnant on the first IVF attempt and son Matthew was born in 2014. The new purpose-built clinic at Wickford will have the capacity for 1000 IVF cycles a year with free on site parking and plenty of space all dedicated to fertility patients. Sarah Pallett, Bourn Hall’s regional clinic manager is very excited about developments. We will be keeping you updated as the building takes shape so look out for more news as the construction gets underway! For more information about treatment at Colchester or Wickford do contact us. 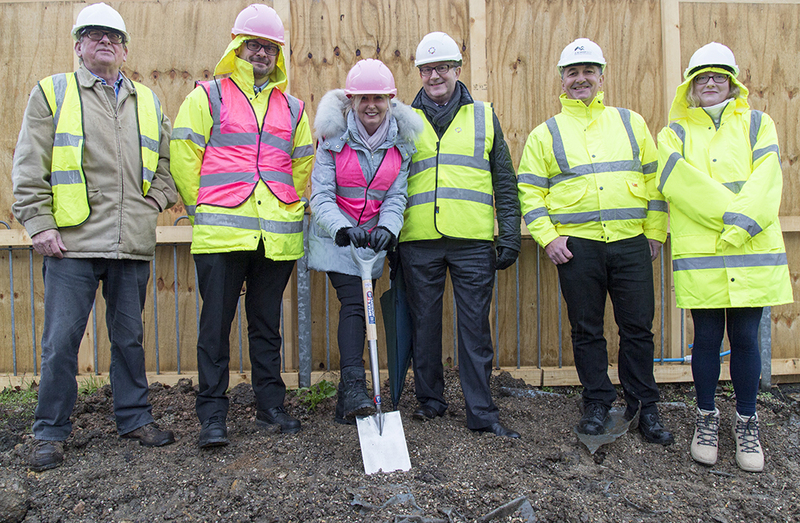 Left to Right: Paul Stacey, Managing Director, The Healthcare Property Company (HPC); James Hillyard, Services & EHS Manager, Bourn Hall Clinic (part of the project management team for Wickford project); Sarah Pallett, Regional Clinic Manager, Bourn Hall Clinic; Steve Wakefield, Partner, Calfordseaden; Dave Bilcliffe, Contracts Manager, AW Hardy & Co; Victoria Stacey, Business Development Manager, HPC.